I can’t believe this time next week Lottie will be back at nursery and it will be her last year before starting big school! It’s going to be the end of an era for us as we’ve been going back and forth to that nursery for years; all the girls have attended at one point or another and we have such a great relationship with all the staff. 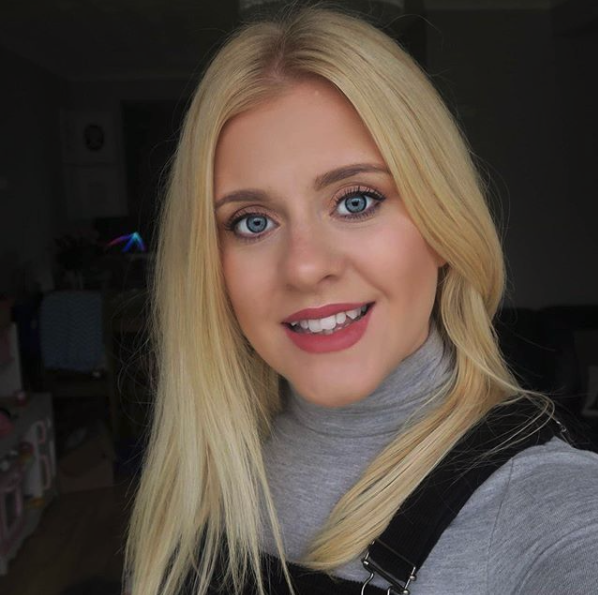 We all know children grow up far to quickly but for Lottie it just seems to have whizzed by even faster than before. No matter how big she gets I still see her as my little baby so the idea of filling in school applications scares the life out of me! To mark the special occasion Lottie helped me pick out a brand new lunch box for the new school term (she was getting a tad jealous of her sisters getting new school bits!). I wanted one that was a little more special than a super market lunch box for her this year just because it feels like such a huge milestone. 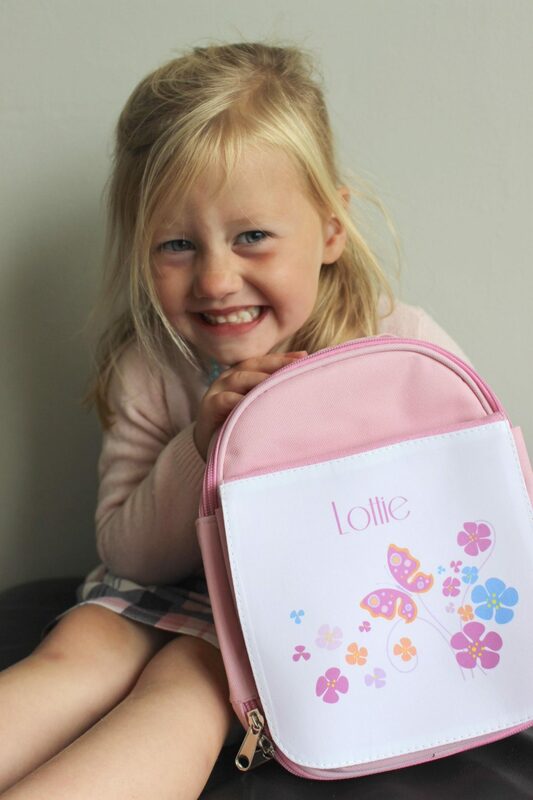 As we were having a browse online and we came across some really cute back to school products on Personalised Gifts Shop so we set to work finding a personalised lunch box that would be perfect for her. We had a good look through all the different designs there were to choose from before she settled on flowers & butterflies. 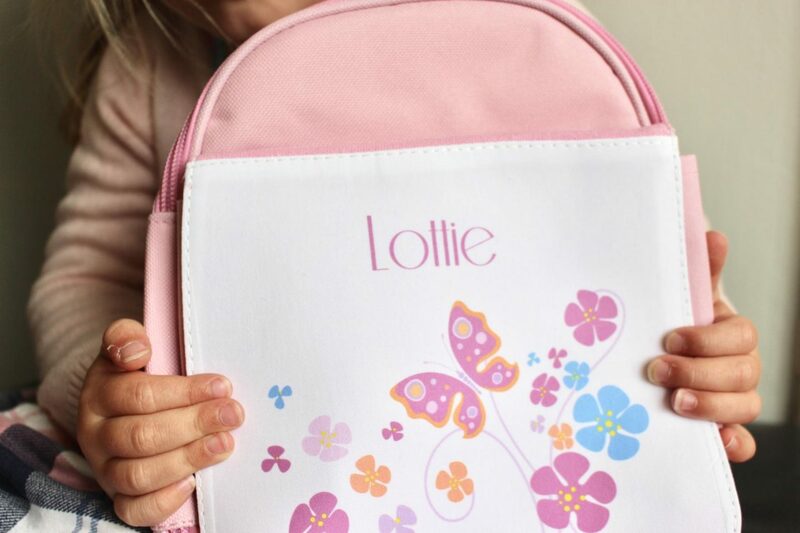 Explaining to a three year old they were going to print her name on it was no easy feat, Lottie kept saying she was going to write her name on the front and fetching pens, thankfully her pretty new lunchbox has stayed felt tip free this far! I love it; I think it’s a really cute design. 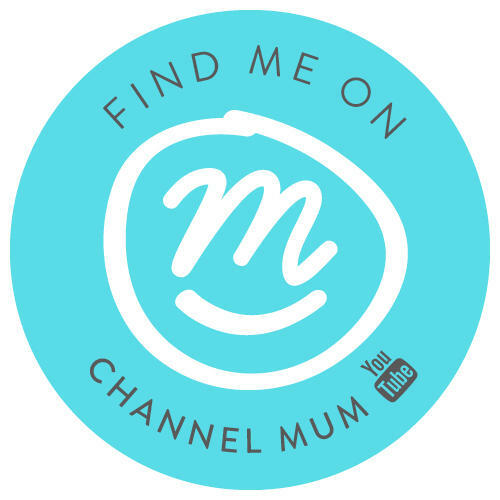 I was also really impressed at how quickly it arrived, personalised products are usually so slow but this was with us in a couple of days. I really hope this helps give her a reason to be excited to get back to nursery. After so long off I do expect a few tears next week as we adjust back into the old routine, but this should help – Last year of nursery here we come!! This post was written in collaboration with Personalised Gift Shop, all thoughts and opinions are my own.